Companies rely on properly configured infrastructures to ensure the communication aspect of their business is running smoothly. When you hire Value Automation, you can be sure your computer infrastructure will help employees communicate internally and externally. Value Automation provides an in-depth analysis and pinpoints where your network is weakest. A well done infrastructure will increase productivity and the level of customer service your clients receive. Creating an infrastructure is complicated. Hiring professional IT consultants is the only way to a ensure high-quality infrastructure. Consumers now expect more, faster, and better. It is business owner’s responsibility to keep up with demand. Infrastructures can keep the communication between your customers and business fast and easy. Call Value Automation to make sure your infrastructure is the best it can be. As a business owner, you need the best of the best to ensure you are reaching your business’s full potential. Employing Value Automation for all your IT needs you can be confident that the services and equipment you receive will prove to be a profitable decision. Even if you don’t need an infrastructure upgrade, there are always new programs and software to utilize for maximum potential. This is problematic for those unprepared. Any company that uses computers can benefit from management services provided by Value Automation. We provide a wide array of IT services in Tampa, Clearwater, and St. Pete, from data retention/recovery to physical office set-up. It can be all too easy to overlook or put-off software updates. But this can cost you money in the long-term. If you have many computers, keeping each computer updated becomes a hassle when you are unfamiliar with the software and hardware. Denying your computers needed upgrades can snowball into system errors….errors which can shut down your operations for days until they are fixed. Errors are lost money and the regular maintenance provided by Value Automation can save you that money. Our IT services give businesses an edge by allowing them to focus on other daily business operations, while we monitor their network for faults. As the internet becomes more and more prevalent, more and more business transactions are taking place online; for this you need a trusted IT provider, someone who can build your network and maintain it for you. Without constant monitoring, faults and defects can creep into your network, costing you money and affecting your business. 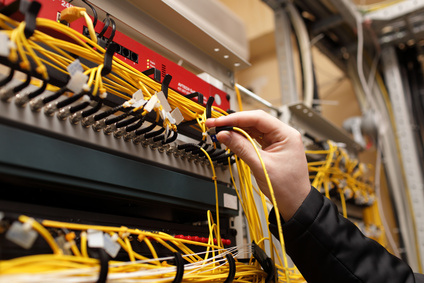 We know running your company is a full time job, so we monitor your network for you. After a thorough analysis of your existing computer system, we determine exactly what you need and give it to you. Some of our services include server and antivirus installation, data backup, training for our software. We set up the email servers and install networks using either wireless routers or wired systems. From day one, our clients are treated courteously during the restructuring process. In this technology driven society, time is a most important factor. Due to this, you should be investing your time and money in companies that can give you what you need when you need it; focus on what is vital to your company. If you need it services in Tampa, Clearwater, or St. Pete, Value Automation is the people to go to. No matter how small or large your business is, we can bring your company up date with the latest technological advancements, giving you the advantage you need to make a profitable enterprise.